In the past decade, the number of deaths by suicide has increased, and even greater numbers of people attempt or have frequent thoughts about suicide. It is therefore likely that you will encounter suicidal individuals in your work. Many providers are fearful of discussing suicide with their clients, as they feel unsure of what to say. This course will provide you with a brief overview of factors to consider when working with potentially suicidal clients. By understanding some basic elements of screening and ways to discuss suicide openly, you will be better able to support suicidal clients. 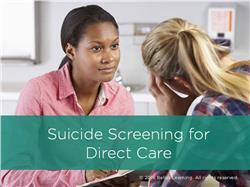 Note: This course provides only a brief overview of the topic of suicide screening. 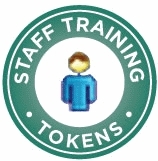 More in-depth content is covered in our other courses on the subject. Describe risk factors and warning signs of suicide. Differentiate screening from assessment, and understand your role in that process. Communicate more effectively with potentially suicidal clients.